For this project, carried out in the educational center of Seville, have have urged 4 columns in format line array with uniform dispersion Work Pro UDA 16, located along both sides of the stage, and 4 subwoofers Z15 to, integrated in the wall and within walking distance of the ground. Colegio CEU San Pablo in Seville is one of the centers of the Foundation San Pablo CEU Andalucía, located in the municipal term of Bormujos. On-site is a great Hall, which hosts different types of events and celebrations, that needed a scoring system that would allow the last rows of the stay, large, receive audio power, and avoid possible reverberation, caused by reflections of the audio on the ceiling, walls and floor. The installer of this project was Audiovisual Studio who chose the column format line array with UDA 16 uniform dispersion of Work Prowhose brand distributed Equipsonto respond to the requirements of the teaching centre. Composed by an elaborate system of filters and 16 transducers of high quality, with a width of frequency in line-array configuration, the UDA 16 column is designed to avoid all these losses range in coverage, as well as unwanted sounds. One of the main advantages is the ability to annotate reverberations and echoes, induced by walls and ceilings. This is possible thanks to the width of the beam control and, therefore, the sound dispersion offering. Also, thanks to 16 transducers in Line Array configuration, only audio pressure level decreases 3 dB (instead of 6 dB) whenever the distance between the column and the receiver is doubled. 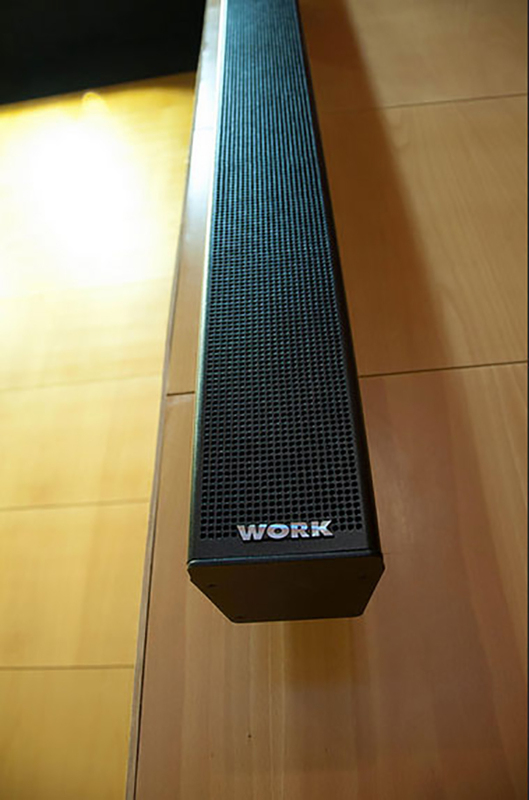 As a result, this Work Pro solution lets multiply by two the coverage area and direct the sound in a way much more directional, so that it reaches the public, minimizing the loss of sound. 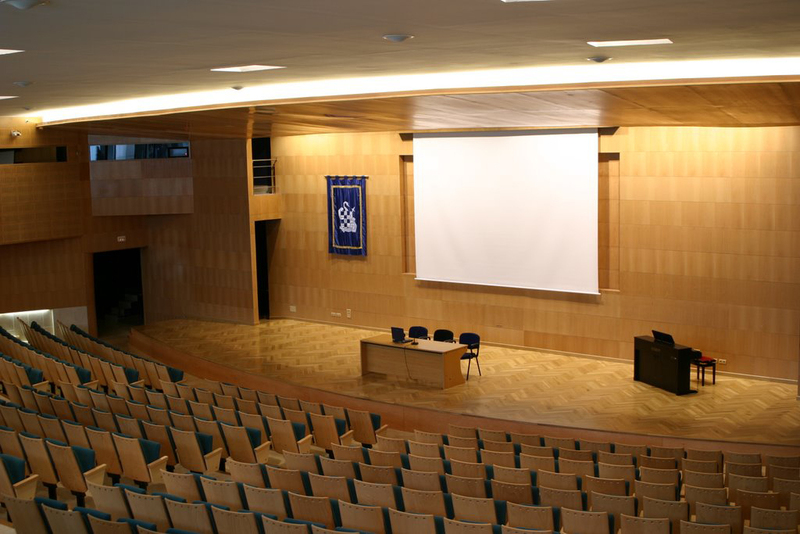 For the Hall of the CEU San Pablo in Seville Center settled a total of 4 units of this column: 2 right and 2 left on the stage. The objective was to ensure full coverage of the room. Columns had to install a wall mount, specifically designed for it, which allows your inclination to run it at the desired point. 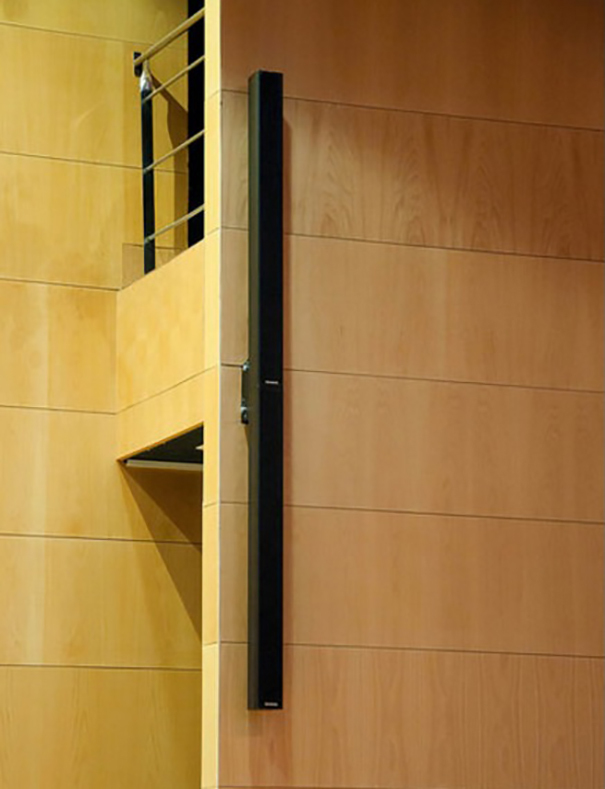 Thanks to its control of the directionality, this solution delivers optimal results in acoustic conditions of reverberation, as well as a perfect intelligibility. The installation was completed with 4 subwoofers Z15 to integrated in the wall and a short distance from the ground to facilitate the issuance of low frequencies.